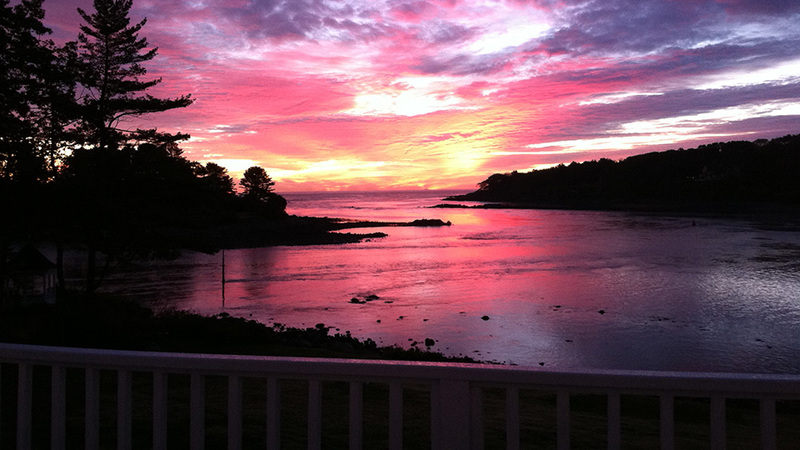 3 Day Itinerary for Fall in Maine :: Stay at Dockside Guest Quarters! You hear it all the time. Everyone tells you that you must experience fall in New England. But what’s the best way to do it? You want the perfect experience but you’re overwhelmed and don’t know where to start. Cue our Three Day Itinerary! Expertly curated by locals who know the area best, this itinerary will guide you to the most perfect ways to experience the joy and beauty of fall in York, Maine. Enjoy! On the first full day of your long awaited fall getaway, wake to a hearty breakfast buffet. Meander around our beautiful property with a hot cup of coffee or tea before you start exploring all that York, ME has to offer. Set out on a little walking tour and take in the lovely sights of fall in New England. We recommend walking the Fisherman’s Walk along York River to Harbor Beach and Cliff Walk. Return to the Inn along Route 1A through York Harbor and view the lovely summer cottages. Get hands on in the kitchen with a cooking demonstration and fabulous lunch at the world famous Stonewall Kitchen Cooking School. Then set sail on a lobster cruise aboard the Finestkind! From Stonewall Kitchen, get there by heading north on 1A along Long Sands Beach and stop at Nubble Light. Drive 7 miles north along scenic Shore Road to Ogunquit and you’ll arrive. After your cruise, browse the charming shops and galleries of Ogunquit, our neighboring town to the north. Find a treasure or two to take home with you. Return to the Inn and sample our daily tea treat as you take in the view of the harbor from the rocking chairs on the Maine House deck. Dine at Dockside Restaurant overlooking York Harbor. Cheers to a wonderful first day of vacation! End the day on a high note by star gazing from our gazebo and enjoying the crisp autumn air. Sleep soundly in one of our comfortable guest rooms tonight and every night of your stay! Savor a hot cup of joe and a delicious breakfast before you head out for a day of fun and outdoor adventure. Spot the brilliant fall colors as you head inland to McDougal’s Orchard in Springvale, ME. Here you can select from a wide range of u-pick apples while wandering around the picturesque family run orchard. Don’t leave without indulging in an apple cider doughnut – yum! Catch a fabulous show at the popular Ogunquit Playhouse! View upcoming shows here. 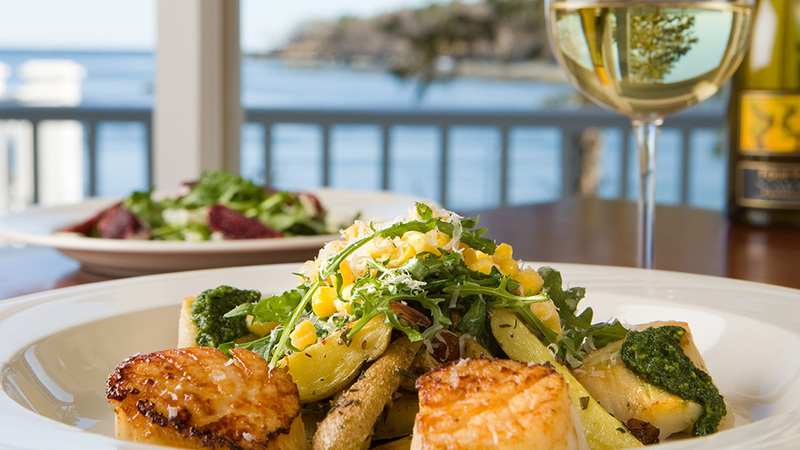 Return to the Inn and enjoy a drink or casual dinner at our Deck at Dockside Restaurant, overlooking York Harbor. This is THE place for lobster rolls. Don’t miss out! Day Three: Cheers to Fall! Start your day the right way with breakfast and a view! Sip and savor in our Maine House dining room or on the large wrap-around porch on warmer mornings. Head south to Fort Foster in Kittery, ME. Walk the trails in this wonderful town park. You’ll spot remnants of a WWII fort, and catch views of lighthouses, boats, ships and the beautiful coast line. Find your way to Portsmouth and explore the old streets that are lined with shops, restaurants and galleries. Grab some lunch and spend some time leisurely enjoying this quaint town. While in Portsmouth, treats from Annabelle’s Natural Ice Cream next to the tugboat dock are not to be missed. You deserve to indulge in a little something sweet! Return through Kittery and make a pit stop at Tributary Brewery. Sample some of the finest craft beer in our area. Grab something from their to-go cooler and return to your private deck at the Inn for a tasting. Dine on the Dockside Restaurant porch and enjoy the wonderful evening colors as they settle over the harbor. Watch the sun set for the final time during your stay and head home knowing you’ll always cherish the memories made (and hopefully come back soon)! Your itinerary is set! All that’s left to do is get here. We’ll look forward to welcoming you upon your arrival.